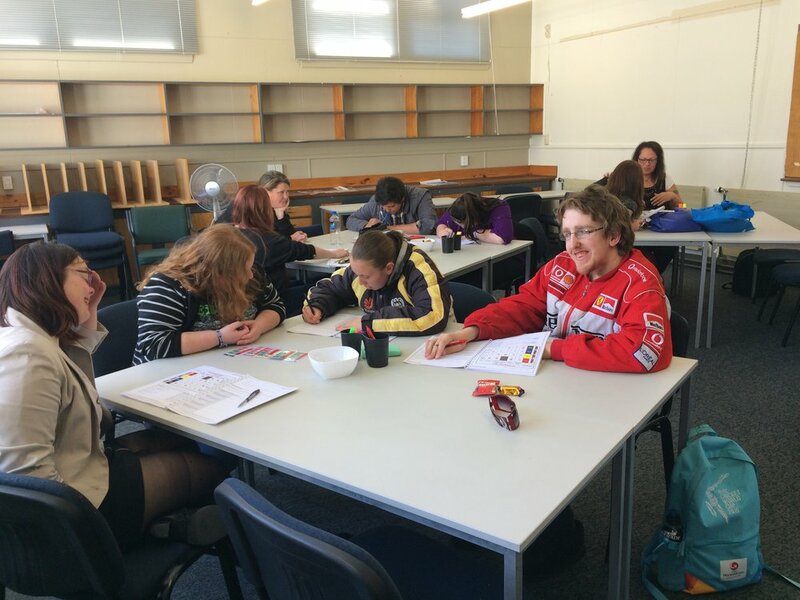 "This is our first year of using the GET group to provide the GET Started and GET Going retail programmes at Wainuiomata High School. There have been a few teething issues but the GET team have been extremely helpful in sorting it all through. The students are all thoroughly enjoying the workshops and their work experience. We would recommend the GET group, they are knowledgeable, helpful, and easy to deal with." "I was part of the pilot programme for the Rebel/Briscoes Cadetship. I was fortunate to secure a place on the Cadetship in the Wellington Central store where I spent 10 weeks working in both Rebel and Briscoes. During this time I learnt a lot about the store, how all the departments work and what it is like to work in Retail. At the end of my Cadetship I was offered part time work in the Briscoes store which I gladly said yes to. 2 years later, I am now head of the manchester department and I have just undergone training to be the Health and Safety officer on site. I didn't know how much I would love working in Retail, but now I am so glad I took the opportunity." "This programme is delivering great outcomes for every student. In 2016 and again this year, all have grown significantly in confidence and employability. Without exception, every student speaks with such enthusiasm about their Mitre 10 experience, and we are seeing shy, awkward and inarticulate teenagers blossom into confident young adults. In my view, the company is going the extra mile by training our students in such high trust areas as checkout and admin/accounts; and I know how much the students are appreciating this too. As the school's representative in the business community, I am very proud of the positive relationship we have established with Mitre 10." "Benefits gained by students are similar to what is described above - huge growth in confidence and ability to transition from school into employment as an independent young adult. Just want to make special mention of three Year 13 girls who did the programme Term 3/4 last year. Two were regarded as 'at-risk' due to low levels of confidence, poor social skills and inability to gain part-time employment despite months of trying. At the end of their cadetship, this cohort had completely transformed into confident and capable young women who were proving to be great additions to Simon's sales team. I believe Simon employed all three girls over the summer holidays, and two were able to transfer to other Briscoes outlets when they went to university." "I would just like to thank you and our team for the GET Started and Get Going programme at Rebel/ Briscoes. Its my first foray into this placement this year and the students love it, they are well looked after at work and enjoyed the theoretical aspect. I have terrible trouble as a Gateway coordinator getting work placements for the students, and even worse trouble attaching unit standards to the placements. So to have the whole package as you guys do is just GREAT. I look forward to many more placements in the future." "I really enjoy having Amanda in the school presenting to our students. She is very flexible. Amanda copes with the late comers where as others wouldn't. Amanda's' rapport with the students works well."